If you’ve never written a book, how would you know how to get started? Some people just sit down and start writing. But they soon discover that all the ideas that have been rattling around in their head have no form, no shape. What comes out is like a spaghetti mess—a bunch of unconnected threads. They have a message, but they don’t know how to get it down on paper. The problem with the “write-first” approach is that it’s like trying to build a house without any plans. You have no blueprint to follow, no foundation poured; and you don’t know what the house will look like when it’s finished. Writing a book is hard but can be done when you organize it bit by bit. When you first learn about writing your book, it’s important to realize that it’s a large project. It’s not something you’re going to accomplish overnight. And you know the key to large projects, don’t you? You have to break them down into tiny little steps. Have you ever heard anyone say, “How do you eat an elephant?” The answer is one bite at a time. And that’s true. You have to break down the tasks writing a book into bite-size chunks. When you work with me, we develop a BookMAP, which is a visual representation of your entire book. And when you have a BookMAP, I contend that you can actually start writing your book in 15-minute increments. 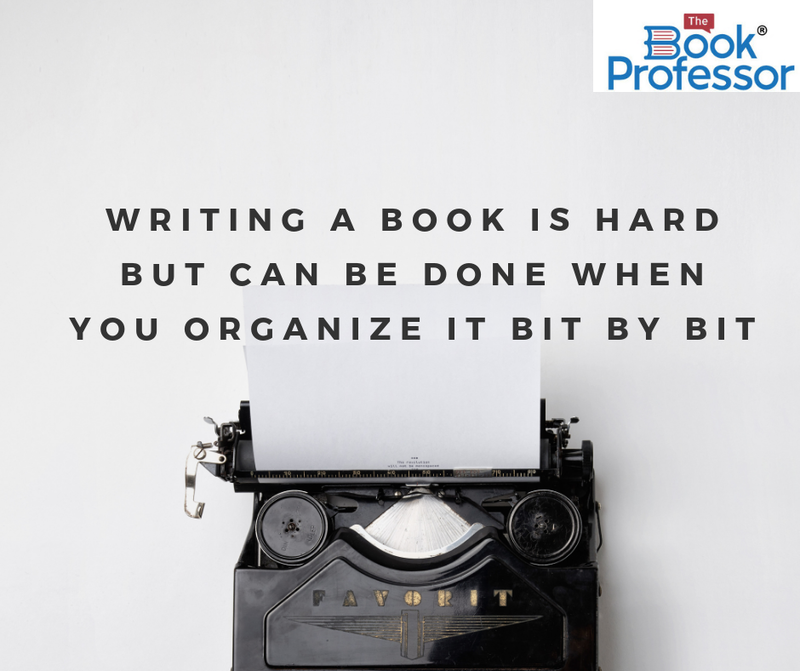 Your BookMAP is broken down into such small pieces that you can write those small bites and ultimately assemble them into a comprehensive manuscript. Your experience is unique. In fact, no one else has your story or has lived through what you’ve learned. 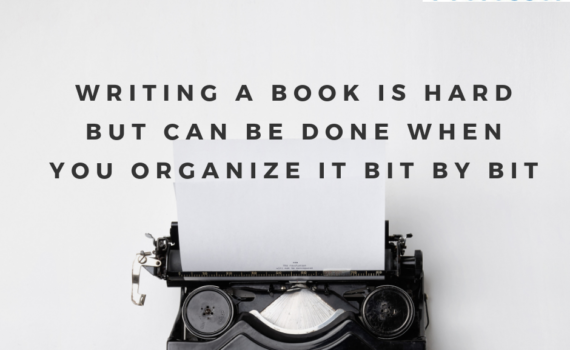 You are the only one who can do this, but if you’ve never written a book before, you probably don’t know how to get started. And how would you know? If you want to know how to start a book, how to publish a book, or how to write an eBook, The Book Professor is here to help. Reach out for personalized help on your book project. Your options include one-on-one coaching, group executive book coaching, and self-paced learning. We can help you move your project forward. Contact us today to learn more!